Soprano Jo Sullivan (b. Mounds, IL), widow of composer Frank Loesser (d. 1969), was at one time a rising star of New York’s musical theatre, and still is greatly admired for her lovely lyrical voice and personal magnetism. Sullivan made her Broadway debut in 1948, in a very short-lived musical Sleepy Hollow. Her next assignment, in the chorus of As the Girls Go (1948), was more successful but not particularly memorable. Only a few years later, however, Jo Sullivan was on her way to stardom, cast as Polly Peachum in Marc Blitzstein’s English-language adaptation of The Threepenny Opera off-Broadway at the Theatre de Lys. It enjoyed a short fixed run, but with Lotte Lenya, Beatrice Arthur, and Scott Merrill, the show and its original cast recording made such a hit that it opened again in 1955. In the interim, Jo Sullivan sang the part of Julie Jordan in a Broadway revival of Carousel. The Threepenny Opera ran for six more years, but Jo Sullivan left the show in 1956 for the role in which she is best remembered, Rosabella in the Frank Loesser musical, The Most Happy Fella (1956). For it, she earned a Tony Award® nomination as Best Featured Actress in a Musical. But it also turned out that she and the composer fell in love. After Loesser divorced his first wife, he and Sullivan were married in 1959, and she gave up her stage career for seventeen years. They had two daughters, Hannah and Emily. Loesser died of lung cancer in 1969 – before reaching the age of sixty. Jo Sullivan returned gradually to performing, keeping her late husband’s memory alive, first with a revue of his songs at New York’s Ballroom in 1977. She co-produced and starred in another revue, Perfectly Frank, on Broadway in 1980, and toured the nation with Guys & Dolls and The Most Happy Fella. She spent two years developing an off-Broadway show, I Hear Music . . . of Frank Loesser and Friends. Soon Sullivan was branching out to other composers as well, bringing A Little Night Music and The King and I to regional audiences, and appearing in concert with major symphony orchestras. She sang at Carnegie Hall with Skitch Henderson’s New York Pops Orchestra, at the Kennedy Center, and in nightclubs like the Russian Tea Room and Michael’s Pub. The youngest Loesser daughter, Emily, now a busy singing actress, has teamed up many times with her mother (Together Again for the First Time) not only for revues and concerts, but in a touring company of Where’s Charley?. The two have put out a recording together, Loesser by Loesser. Jo Sullivan has been managing Frank Loesser’s estate since his death, and this has meant taking an active part in preservation and revivals of his musical works. In 1992 she served as Artistic Associate for the revival on Broadway of The Most Happy Fella and the New York City Opera production as well. She helped to bring Guys & Dolls and How To Succeed in Business Without Really Trying back to the Great White Way (Guys & Dolls, with Faith Prince and Nathan Lane, won the Tony® for Best Revival in 1992). In 1997 she incorporated Frank Loesser Enterprises for the purpose of managing the Loesser catalogue, archives, and new projects. Under its auspices, Loesser’s last, unfinished musical, Señor Discretion Himself, was finally mounted at the Arena Stage in Washington D.C. in 2003. 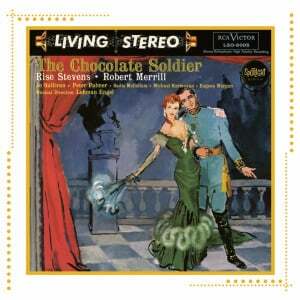 Sullivan engaged Maury Yeston (who usually writes his own scores) to adapt the story and arrange the music of Hans Christian Andersen (the 1952 movie starring Danny Kaye) for the stage; destined for a London opening at an undetermined date, the adaptation was produced regionally in Maine in 2003. 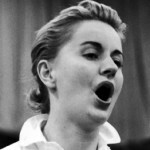 Jo Sullivan can be heard on four albums of Ben Bagley’s famous “Revisited” series on Painted Smiles Records, singing songs of Loesser, Kurt Weill, and Leonard Bernstein.